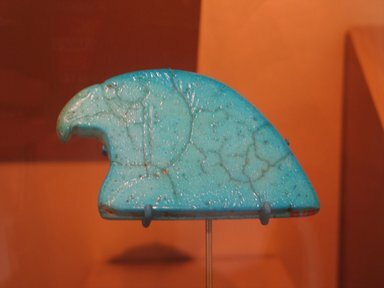 Light blue faience necklace terminal of hawk’s head form. Details of head incised on one side only, reverse plain. Six piercings for strands passing from lower edge of reverse to ridge through base of object.